What is Americana, anyway? Perhaps it’s that weird place where Gene Clark and Tom Petty meet Neil Young and Alex Chilton? Or maybe I’ve just been enjoying ex-The City Walls man Iain Till’s rocking new EP too much. By Alan O’Hare. Four years ago I described the music of Iain Till as a “tone poem that doesn’t let up”. The Liverpool-based singer and songwriter had just released the delicately beautiful ‘The Rise And The Fall’ EP and its intimate performances of intricate finger-picked songs and hushed vocals had charmed me. What happened next, I couldn’t tell you… but it was lovely to see brand new music from him come through my letterbox last month. ‘In The Clouds’, a brand new four-track EP released this week, is a mature work of truth and beauty from a musician who is stretching his wings. Learning to fly? Well, I wouldn’t say that, not even when what sounds like the late Tom Petty’s guitar opens up the west coast rock of ‘Daylight’: “Feel like breaking through the cloud for the first time,” sings Till over a classic rock ‘n’ roll summer sound. Penultimate track ‘One Fine Day’ plows the same furrow, too, as warm and tender ever-present harmonies complement guitars that sound like they were mixed on a jingle jangle morning in 1965. These recordings do more than look back, though. The beautiful ‘Oh, Sweetheart Of Mine’ closes out the set with a nod to Ryan Adams and its the Americana-focused blogs and magazines that have enthusiastically embraced the alt-country songwriter in the past. 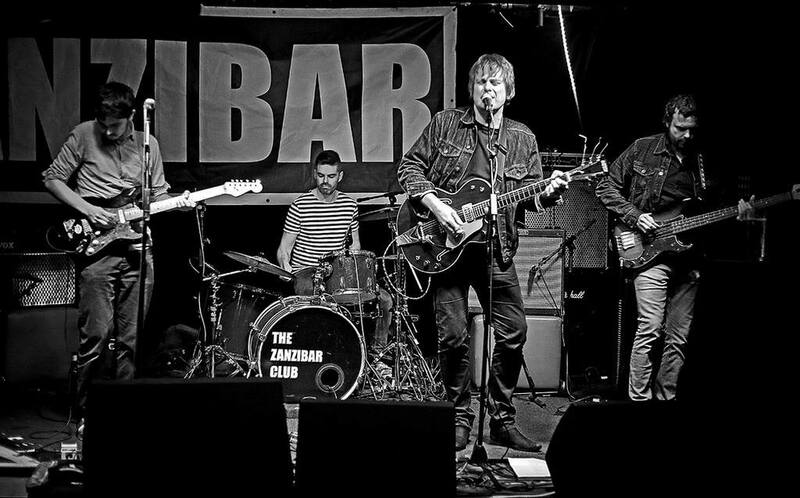 ‘In The Clouds’, however, might change all that – the title track (watch the video below) bursts in with a clash of electric guitars and a bass figure straight from The Byrds’ ‘Fifth Dimension’ that Liverpool lovers of Love will find plenty to enjoy in. The northern songwriter built his following playing live and supporting the likes of Eliza Carthy and The Rails, but ‘In The Clouds’ sounds like we’re hearing the real Till at last. ‘In The Clouds’, by Iain Till, is out now and available on CD and for DL here.